I have just begun to list some new season handcarded batts in my etsy store. I have been playing with 3 grades of carding, and enjoying how each produces different textural qualities. 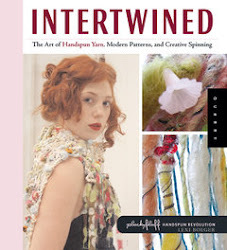 Being the fiber textural junkie that I am, I like to mix up my styles of drafting with a variety of spin techniques which i find keeps my spinning fresh. After I have spun a boatload of worsted-weight (the thinnest gauge i prefer) or a whole bunch of bulky singles skeins, i have taken to loosening up my creative output with a Treasure-Box Batt.. perfect for when you're feeling a little tired with the smooooth & steady life! For those who enjoy the smooth draft of fairly-finely carded fiber, the Landscape Batts are made on a base of Australian merino corriedale wool and occasionally include a light sprinkling of sparkle & shine. Airy & light fluff clouds, with occasional textural undulations - they are as fine as my textural penchants will allow me to go! 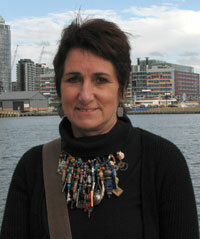 The colourways are dyed in response to hues of the Australian landscape. 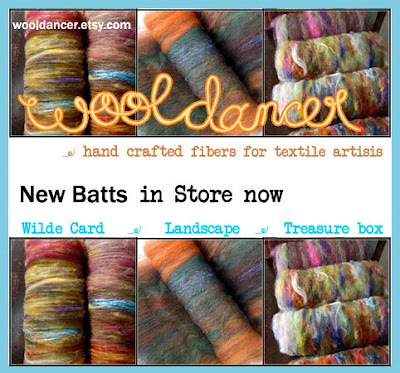 These batts are perfect for wet & needle felting, as well as for spinning. Twice carded Wilde Card batts include as many as five different fibers on a base of Australian merino. Wildly carded, these batts will produce random textural elements during spinning. I prefer to zigzag strip these batts, and may choose to spin in sections for stripes, but they are really fun to just spin worsted right off the tip of the batt. Some pre-drafting could be a good idea with these batts as there is often recycled sari silk & other longer fibers that require a little taming! If you are really in for an adventure, all free-spirited batt-lovers will adore our Treasure-Box Batts (formerly Scrapbox batts). Get ready for a wild ride fellow spin*stars, these wild & crazy batts are sure to take you on some twists & turns as you spin.. Crafted for maximum texture, Treasure-box Batts are a total random mix of neps & noils, dis-carded fibers, bits & bobs and all-sorts of wisps & tufts. Made from the dis-cards off my carder, each one is a Treasure-box waiting to be discovered. One-of-a-Kind and perfect for freeing your creativity! I've just found your site, what fabulous colours and beautiful wool, do you mind if I give your site a mention on my blog?